With decades and decades of boot-fitting expertise that benefits pros and weekend warriors alike, ownership and staff at Elite Feet guarantee their work, so much so that Perfect Fit Guaranteed is the business’ tag line. 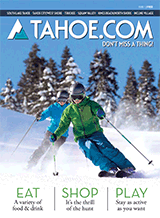 Along with fitting, Elite Feet carries ski boots, skis, helmets and other accessories. Due to their reputation, and to get even better service, setting up an appointment is advised.